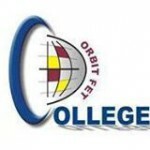 Situated within the North West Province, we are a leading Further Education and Training (FET) College offering a wide range of Vocational and Occupational Programmes. All College programmes have been designed to empower each student with the necessary skills required for a successful career and professional life. Students are exposed to a stimulating learning environment across the three Campuses, located at: Brits, Mankwe and Rustenburg. Situated within the North West Province, we are a leading Further Education and Training (FET) College offering a wide range of Vocational and Occupational Programmes. located at: Brits, Mankwe and Rustenburg.